After talking to Joey at Captain Joe and Sons where we get our lobsters we’ve decided that the super rare Blue Lobster he gave us to show our customers should really be returned to the ocean to spread more Blue love and procreate. We’ve named him “Blue” and we’re happy to announce that BLUE WILL LIVE ON IN FREEDOM! Release “Blue” the Lobster Party! SUNDAY AT 7PM we will send Blue Back To the Ocean. Come Celebrate with us and watch the sunset and enjoy smores on the firepit and send Blue Off With Some Good JUJU! Here’s Our Manager Myles Picking Up Today’s Fresh Caught Lobsters At Captain Joe and Sons. And while there the boys gave him “Blue” the Super Rare blue lobster so our customers could view it! 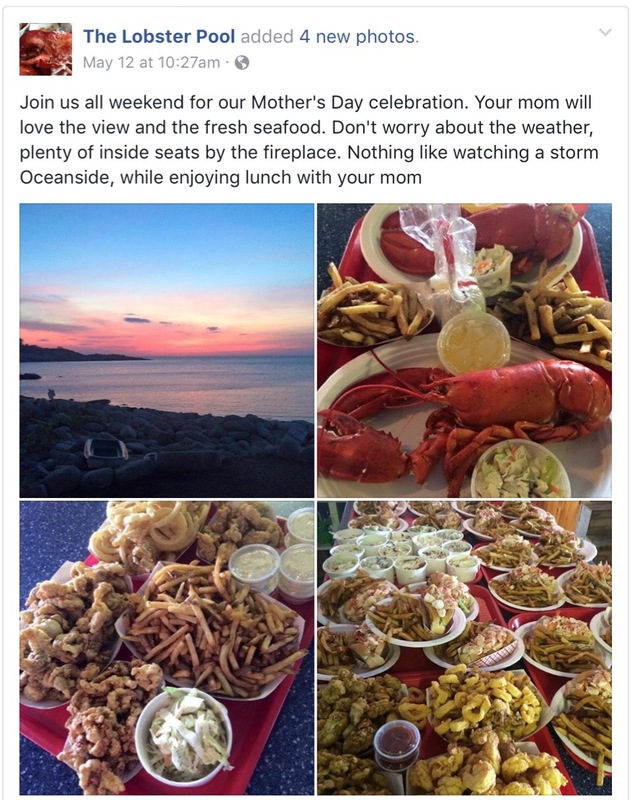 The Lobster Pool is delivering lobster rolls! 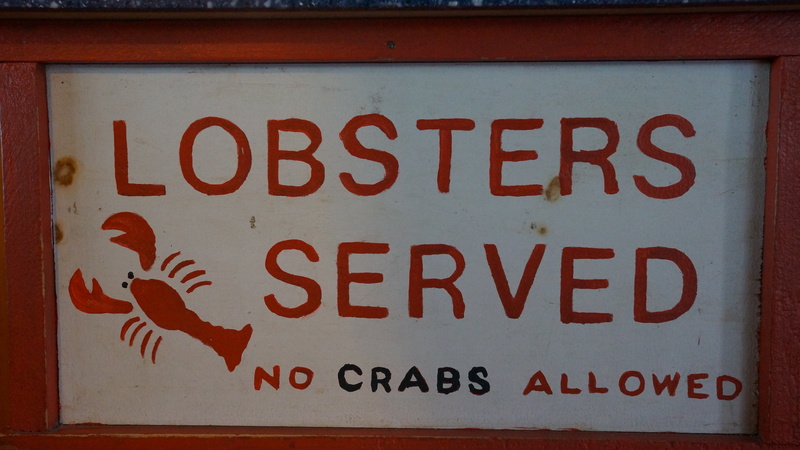 The Lobster Pool is testing the waters of pool to table delivery between 5-8pm on Monday, April 27th. 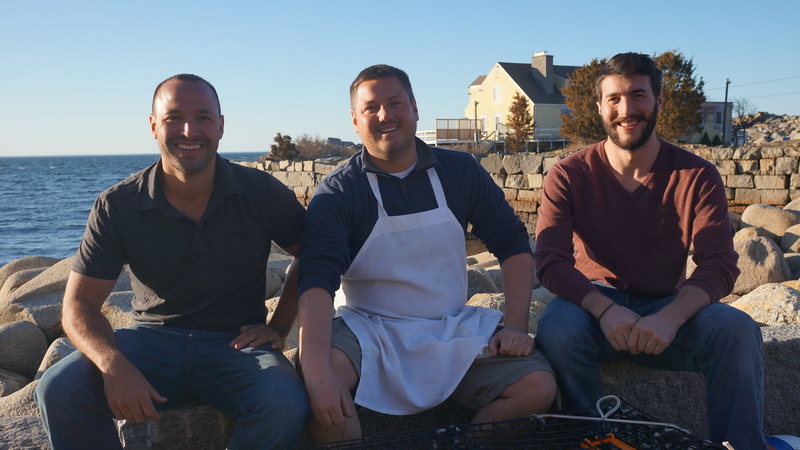 We are accepting orders all day long and will be delivering our lobster rolls in both Rockport and Gloucester. We are offering our no nonsense lobster rolls at $19.95 with no delivery charge. Try this deal out and let us know if you love our service as much as you love our sunsets. Cash or Credit Accepted. Deliveries in Rockport between 5-6:30pm and Gloucester 6:30-8pm. Lobster Pool Opens April 16th! Enjoy waterfront dining in the rough. 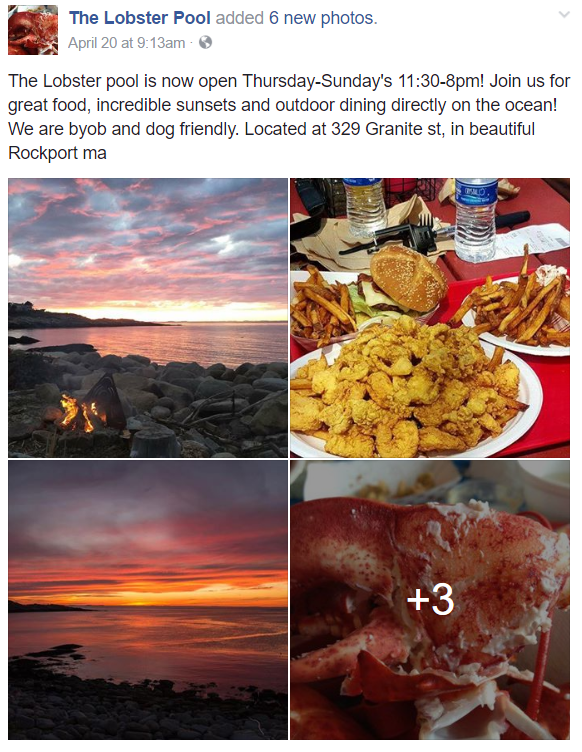 Eat fresh lobsters and clams while watching the sunset off the coast of Rockport. Bring your own beverages.